Heyo. So for the past around 10 months, I've launched a new rap identity, and this is my first real foray into the game. I've done some other rap stuff that I haven't posted on the forum, but those were all projects that I've abandoned. I've debated posting about this for a while, but I feel like it's time. This is my SoundCloud, my name is Bepsi Max. I was formerly Lil Bepsi, releasing two semi-connected albums that saw me transition into a less generic identity. While I use beats available for free on youtube like a true SoundCloud user, I do a lot of my own production on my vocals and sometimes post-production on the beats themselves. I'm trying to make my own signature rap, and I'm trying to do it without autotune. Recently through my music, I've gotten the amazing opportunity via a longtime family friend of mine to ghostwrite some rap music for different, evidently desperate labels; for obvious reasons I can't talk very much on that, but this person really believes in my music and that's fueled me to keep pushing myself. 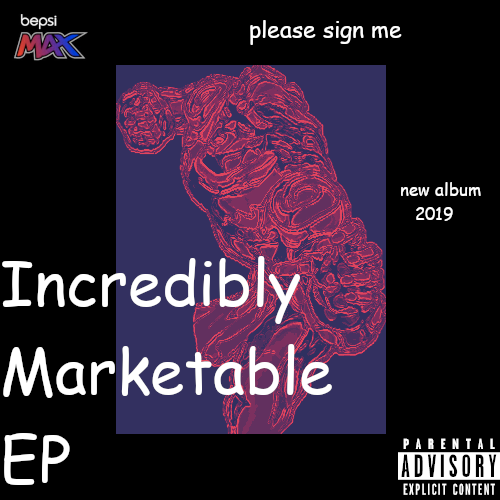 I'm not particularly thrilled with my two albums in retrospect, but since I've become Bepsi Max I've been working a lot harder, and I'm excited for my new music. I dropped the Pop Psychology EP on Halloween, and I plan to release several more EPs before my third album. I'm very self-doubting of anything I create, but a lot of people I've showed it to have enjoyed it so I'm hoping at least some of you guys enjoy it. My music hasn't really gotten any attention, but I'm working on some stuff right now that I'm hoping will help change that. I'll have to give your stuff a listen later mang, thanks for sharing your music with us. Yeet and Clarity are honestly really good. You seem to have found your own style, and you should really try as hard as you can to do something with your musical career, because it seems like you really have talent. Finding your style this early is really big. This is seriously awesome, I think it’s great.